Search & Filter Scheduled Tasks – Welcome to the NextMinute support and feedback centre. You may want to quickly search your Scheduled Tasks list for tasks from the past, present or future at any time. This can be easily achieved using the Search for field or apply Filter(s) function. You can select a Tasks List from the Scheduled Tasks drop down menu and Search and Filter Tasks in that list: Daily, Weekly, Monthly, or All. The "Search for" field at the top of your Scheduled Tasks list can help you find and access the Tasks you want. You can enter a desired search term into the search bar to find a Task you are looking for. Search for a Task by typing in the Task number, Task name, Job number, Customer and Address. In this example we are searching by Task number. 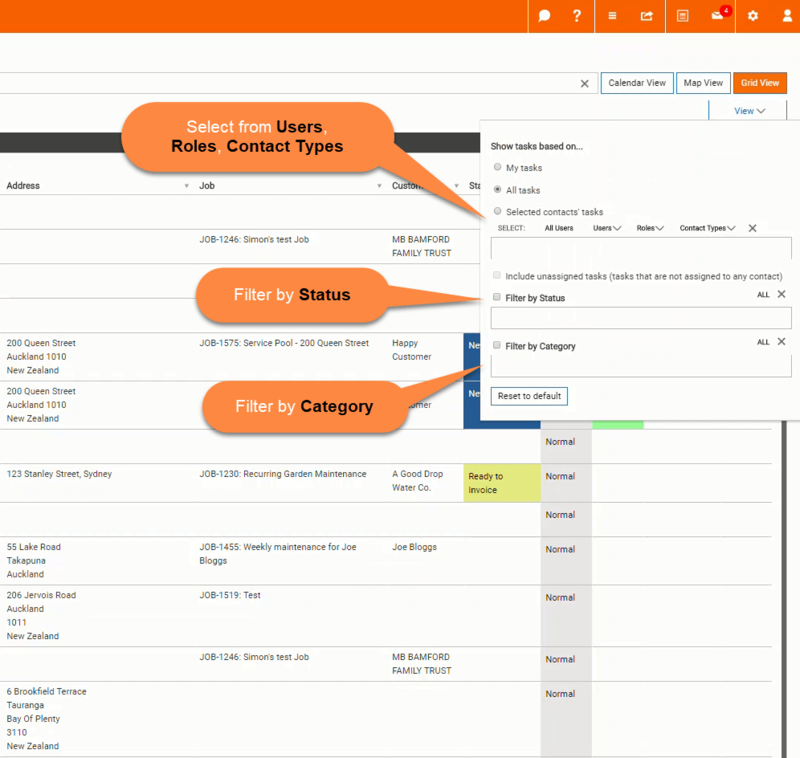 Defining a Filter set will manipulate the Task List and reveal the information prescribed by the Filter you turn on. You can select from all your users, your roles and your contact types. You can filter by status and by category. In this example we have the status filtered as Completed and the Category filtered as Support.